Course Content: This is a one day, SEMA produced, rack safety maintenance course. The aim of the course is to enable individuals with a practical background and reasonable level of personal fitness to understand how to safely replace damaged pallet racking components in accordance with relevant standards and health and safety legislation. Name and understand the components that comprise a racking system. Demonstrate an understanding of legal responsibilities and the need to implement a safe system when carrying out maintenance work. Describe a range of safety precautions and actions to be taken when carrying out maintenance of pallet racking. State the range of personal protective equipment necessary to be used on site. Understand the correct use of electrical and hand tools. 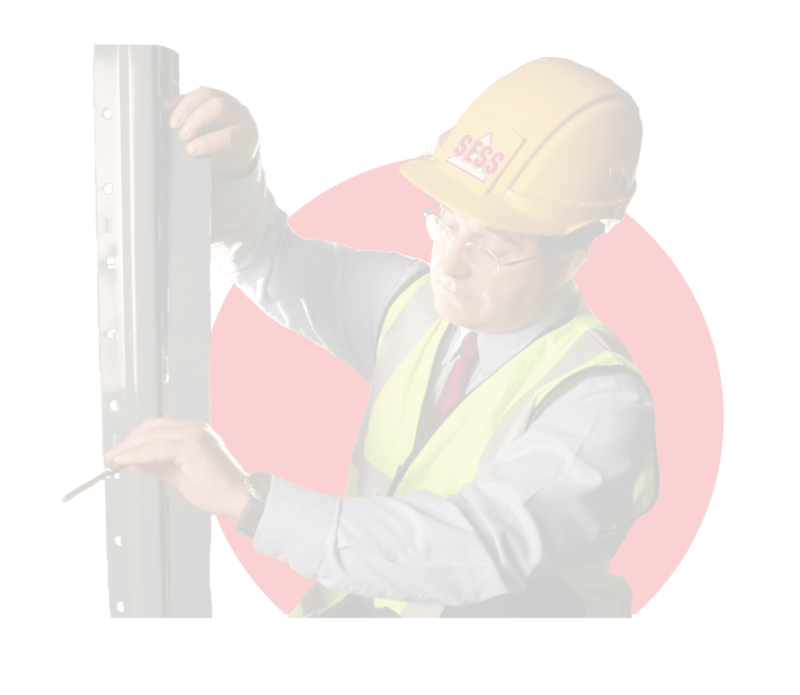 Demonstrate the ability to work safely as individuals and as a team using the correct access equipment. Dismantle and reassemble a section of storage rack in a safe manner. Describe the hand over inspection. On the day: The morning session will be theory and classroom based. The afternoon is significantly focused on the practical ‘hands on’ element in the warehouse. On successful completion of the course delegates will receive an SESS training certificate. Venue: A purpose built training facility at our Head Office in Cramlington. Buffet lunch and refreshments are provided. Who will benefit from this course: Anyone who has a responsibility or is involved in maintaining storage equipment. Due to the nature of the course and to ensure delegates receive the best instruction possible, the course is limited to a maximum of 6 delegates. Delegates should provide their own PPE for the course. This course is only available to end users. Price Per delegate: £250.00 exl VAT, please email training@sess.co.uk for further information. © 2019 Storage Equipment Safety Service Ltd. All rights reserved.